Sir John Everett Millais (1828- 1896) aged 43. Painting by G.F. Watts. The Pre-Raphaelite painter John Everett Millais often stayed with the Tennysons in 1854 at Farringford House on the Isle of Wight. 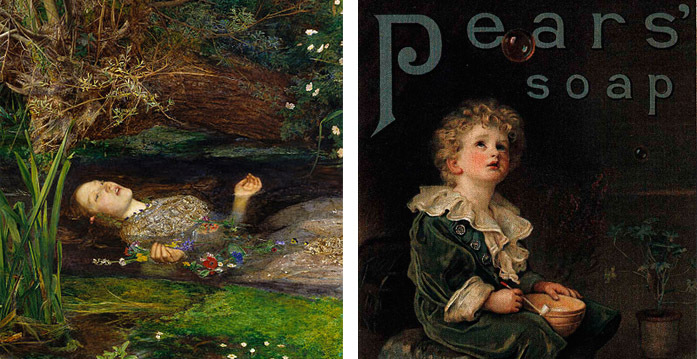 Left – Ophelia by John Everett Millais. Right – Millais’s work was some of the first art work to be used in advertising.